Tidiness and carefulness make renovation works and building projects much easier. 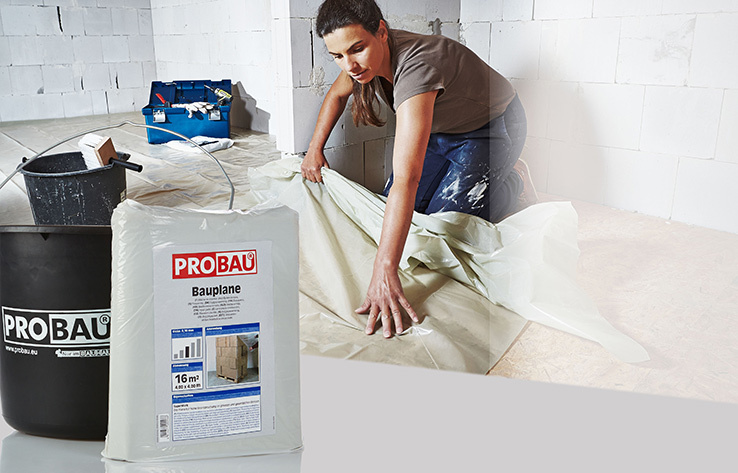 This is why PROBAU provides the perfect accessories and many practical building aids to make your DIY and renovation jobs run more smoothly. PROBAU buckets and round or rectangular mortar tubs come in various sizes and are useful for mixing cement and mortar. We also have the right protective sheeting and tarpaulins for you to protect any unfinished work at the end of the day, whether indoors or outdoors. And items such as rubble sacks and damp-proof courses can be found here too. With PROBAU, all renovation projects are a great success!